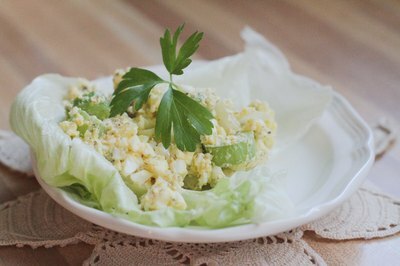 Egg salad is a tasty and filling food which is high in protein. It is often eaten for lunch on a sandwich or by itself as a side dish. Although mayonnaise is a common ingredient in most common egg salad recipes, some people prefer to avoid mayonnaise for various reason, including the fact that it is high in fat. Fortunately, egg salad can be made just as easily without adding mayonnaise and still have a rich taste. Place six eggs into a medium saucepan and add water, making sure that the water level is above the tops of the eggs. Set burner at a high setting until the water begins to boil, then turn setting down to low and allow it to boil for 10 minutes. 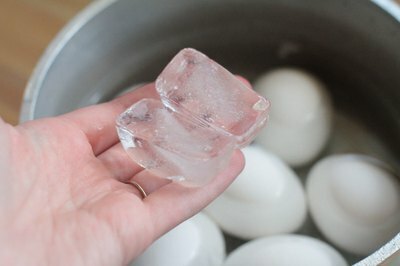 Drain the water out of pot and add cold water in order to allow eggs to cool. Ice can be added as well if desired. 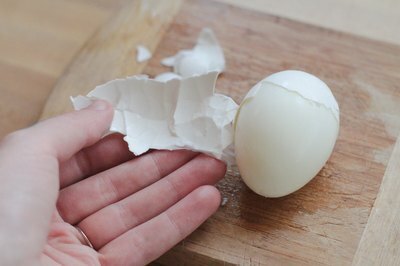 Peel the shell off of the eggs and rinse them with cold water to get any remaining pieces of the shells off. 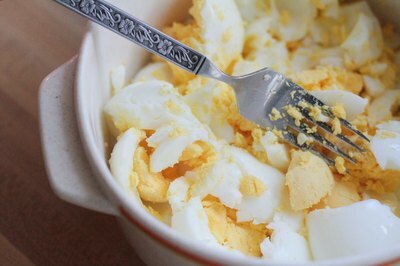 Taking a fork, chop up the eggs in a mixing bowl until they are in very small pieces. 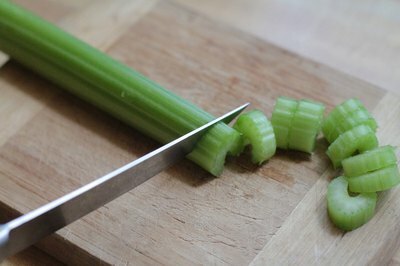 Chop up a stalk of celery and dice a small onion, then add them to the chopped up eggs in the mixing bowl. Stir well. Measure 4 tbsp. of plain yogurt (Greek yogurt is an is an excellent choice), 2 tbsp. of chopped dill weed and 2 tsp. of apple cider vinegar. Add these ingredients to the egg salad mixture. Stir all of the ingredients together well until uniformly mixed. 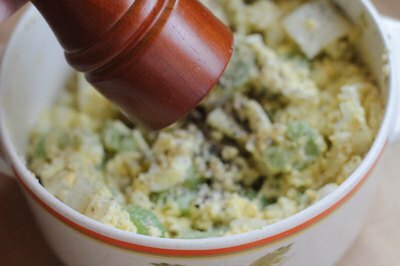 Grind up some fresh black pepper into the egg salad, tasting it to make sure it has the right amount. Add salt to taste. 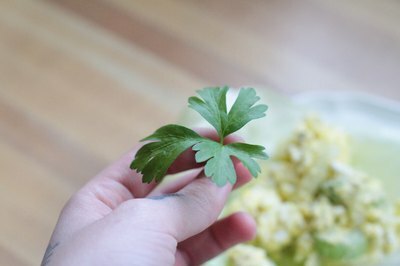 Garnish with paprika and parsley leaves on top. Refrigerate and serve cold on bread or lettuce. If you prefer a more creamy texture, add more yogurt. You can add chopped up pickles as well if you enjoy the taste. For those who are watching their weight, try using a yogurt that is low fat or fat free. 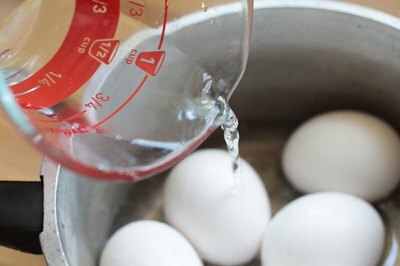 Step-by-step recipe for making basic egg salad, including a method for boiling the perfect eggs every time.